Why Be "Just Listed" ...When You Can Be " Just Sold "
What should I do to get my home ready to go on the market? The Home Selling Process is involved and requires experienced insight. Lynn will offer Home selling tips that can help you get the most for your home and sell it quickly. Lynn Martini is an expert at Staging and Selling Homes in the Morris County Market and can help you focus your effort on the things that make a difference to Buyers. Selling your home is easier with the help of an Experienced Agent like Lynn. Here are some of her selling tips to get you started. What should the asking price be for my home? Setting the right price before you List is the single most important task we must do to assure that your home will sell for the Highest possible Price in the shortest amount of time. Lynn will provide a customized Market Analysis (CMA) which gives you the facts and insight into setting the right price. Assessing where your Home fits in the Current Market and not “lumping” it into an “Average” home price is essential in Pricing Correctly..
What should I look for when selecting an agent to work with me? You will want someone with specialized knowledge and experience in the Morris County market as well as a strong Selling Record. Lynn will take the time to advise you on the many decisions that must be made throughout the selling process. You should have an agent that can be relied upon to be there for you through each and every step from the time the “For Sale” sign is placed on your Yard until you are sitting at the Closing Table! Strong Negotiating Skills and being well versed in every aspect of the Sale … From Managing the Appraisal to Home Inspection.. Is critical. Choosing an agent with whom you have a good rapport and feel comfortable with is also important and Lynn’s focus is on her Clients. What Is It About Lynn Martini That Will Help Get My Home Sold Faster And For The Highest Possible Price? Lynn is an Expert in Listing and Selling Local area homes and she has the Awards to prove it! In addition to a Solid Marketing and Advertising program, Lynn has many local Contacts creating an expansive Networking environment designed to bring more Buyers through your Home. She relies on Communication and follow up to maintain clients. She assists in getting your Home ready for Sale with easy Staging Techniques designed to help your home "shine" in its Internet Presence and attract more Buyers. Lynn will maintain a consistent line of communication with you and is there for EVERY step of the Transaction. Her expertise in Negotiating is followed by a sharp knowledge of the process and seeing your Transaction through with diligence, understanding and Proactive measures to avoid "problems" getting to closing. 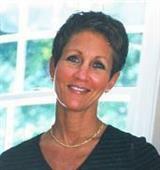 She remains involved in ALL aspects of the sale... to include Attorney, Mortgage, Appraisal, Home Inspection and more. Lynn represents her Sellers and Buyers with the same level of Expertise and Diligence and after the Sale, Clients still rely on her Resources and ability to help with Real Estate issues. It is her strong Dedication to Clients and Knowledge of the Process that has led to a Successful Record of getting homes SOLD!! Can you help us find a new home once you get our home sold? Yes. The process of Selling and Buying at the same time is Stressful and difficult to coordinate. Lynn’s aim is to remove that Stress and provide the best Services as your Buying and Selling Agent. She excels in the critical act of coordinating both the Selling of your current property and identifying the Perfect home for your Purchase. Next is making that transition seamless. There are many stages to navigate through in that process and Lynn is equipped and practiced at making it as Simple as possible.